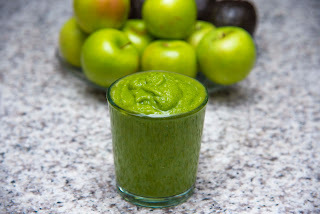 This natural homemade toothache relief remedy, it's helps stop tooth pain within a few hours after used, and helps relief gum swelling, gum infection, and might prevent teeth from breaking, cracking, and might help whiten teeth with continued use. 2 - 3 oz. 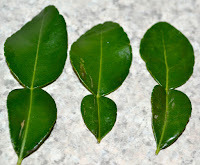 Kaffir lime leave (makrut leave), or about 3 to 4 hand full, more makrut leave, more effective to heal. 1 cup Sea salt (add more later if you feel it not salty enough), I think you maybe can substitute sea salt with Himalaya salt. I heard Himalaya salt is the best salt too. This will last you for about 7 – 9 days. If water become less or dry out, then you can add more water to the mixture. 1. Pick the bad leave out and soak good makrut leave in the water with baking soda for at least 15 minutes, then rinse it a few times. 2. 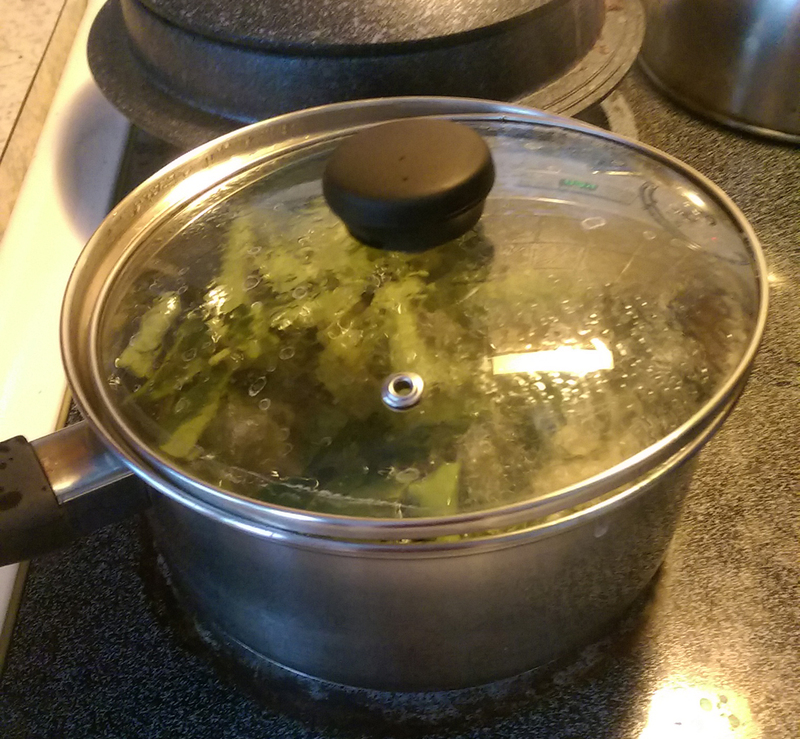 Mix everything together in a pot or sauce pan, and bring it to a boil on medium heat, or medium-low for at least 50 minutes to one hour. If water getting dry, then add more water as need it. 3. Let the medicine cool down before use the liquid to rinse your mouth same way as you use your mouth wash.
*** Closed the lid the whole time, during boiling until it done, but let the lid open a little bit to protect the medicine from over flow. Note : Warm the left over medicine at least 2 -3 minute every day, for about 7 – 9 days, before you want to discard the unused portion away. Add more water as need it, and leave the unused portion in refrigerator at night to protect it from rotten. Pour only the liquid to a cup, for only the amount of liquid that enough to rinse your mouth, switching in the mouth for about 3- 5 minutes before brushing your teeth. *** Use it 1 - 3 times a days. 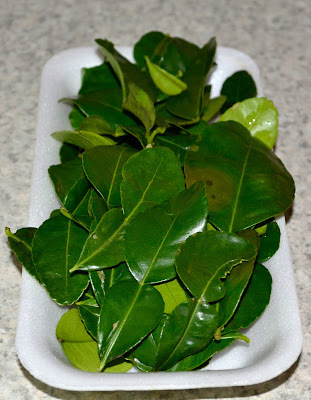 You can find makrut leave at any Asian grocery store, or Asian super market. If you cannot find fresh, then look for one in the freezer. But if you can find fresh, then you can stock up, and save an unused makrut leave in the freezer for the next time you need it. Or if you don't know where to buy, then you can go and ask people (owner) at the Thai restaurant, ask them, where they buy makrut leave, and you want to buy some for yourself. They will be able to tell you, because Thai restaurants are always have makrut leave to put in their curry and tom yom soup. I got my at Hong Kong market for less than three dollars per pack, but it only 0.09 oz., it about almost 2 hand full for one pack, but you should buy 2 pack, and use all two pack, because the more makrut leave, it's will be more effective to heal your tooth pain, and swelling gum. My grandfather had made this remedy for me, when I was still a little kid (on the time that I still have baby teeth). One day, I hurt my tooth real bad, and crying the whole night until I fell to sleep. This maybe because I always ate a lot of candy, and don't like to eat much vegetable. I love milk candy so much, but my favorite candy is a bird egg candy, which they made it look like real egg, it hard from the outside, but soft from the inside and have a filling also. Some time grandma bought it for me, but some time I bought it myself, on the way home from school, I will past a small grocery store, so I’ll stop and buy the candy, and I did not buy a few candy, but I buy a whole bag, and when grandma bought it for me, she bought a big bag also. Grandpa made me rinse my mouth in the morning, with his homemade mouth wash, before I brush my teeth, while he watching me the whole time, I think, he knows that I might not doing it, because of the tast, and I really did not like the test. I asked him, what did you put in here or what it made off? Something like that, he said, “magrood leave and salt” that all I know and remember, I don’t know he added something else or not, I'm too little to concerning about how he made this mouth wash for me. 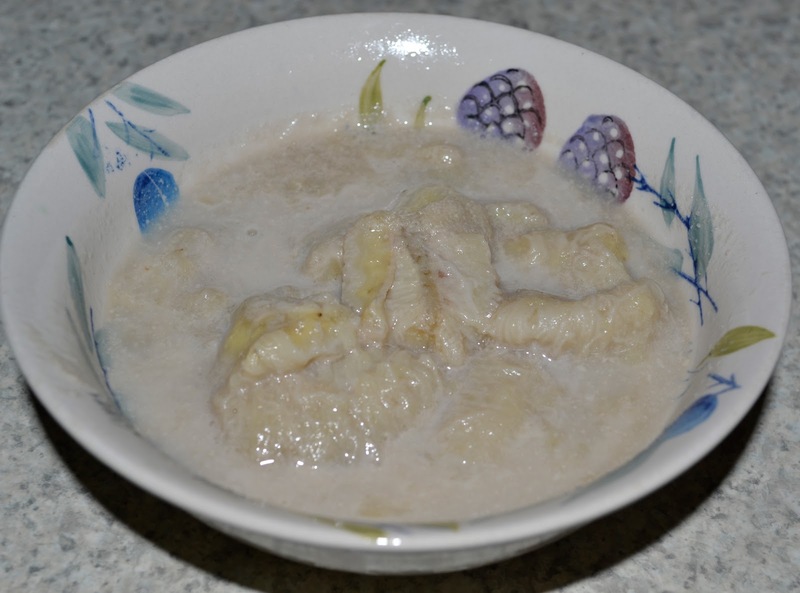 But I still remember until today, because of the salty tast, and I also saw makrut leave in the pot every time (days) I took it to rinse my mount, until time for grandpa to throw it away. His mouth rinse does help stop my toothache. I never see a dentist, until I’m in high school, that I hurt my tooth again and need a dentist to pull it out one bad tooth for me. But on the time that I’m in Middle school, the dentist has came to the school to check the students teeth. One dentist said; I have beautiful teeth, but some of my friend needs to pull out some of her tooth, that dentist told her to go do at the hospital, and she asked me to go with her. Last year in 2015, I had a swelling gum on the left side, and hurt my tooth at the same time, so it’s hurt so badly, its torture, I cannot chew anything from that side. I tried everything that I think, it might help to stop my toothache, and gum swelling; so I tried from floss my teeth, brush teeth with baking soda, put a sea salt in the mouth on the side that hurt, and leave it on for a few minute, brushed with a toothpaste that someone said it good, and it will heel, but nothing work, really! go to Hong Kong super market right away, to buy Kaffir lime leave (citrus hystrix), or makrut lime leave, but Thai people called magrood. While I driving to Hong kong market, I hoping Hong Kong market will have the makrut leave on that day, because they did not have it often, but lucky me, I got it on that day. 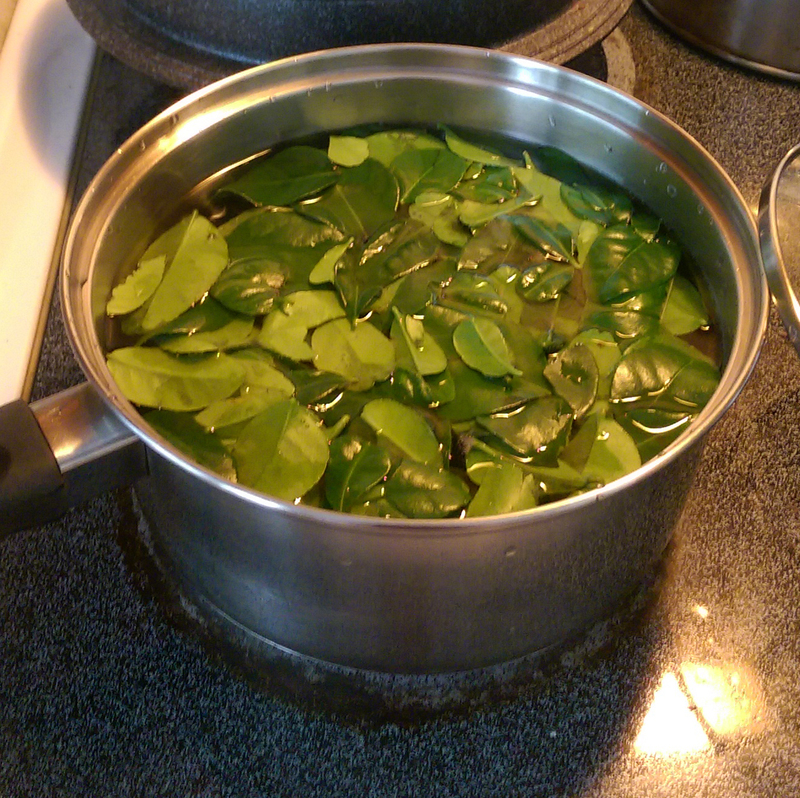 After I got home, I washed and rinse the whole pack of makrut leave a few times with baking soda, and then I mixed with a lot of sea salt, and lots of water, and bring to boil for about one hour. Let it cool down before I rinse my mouth with makrut leave water. I feel better and within a few days, my teeth and gum are back to normal, but I continued rinses my mouth in the morning, and night for about one week, before I throw the mixture away. Thanks to my grandpa, who’s has left this homemade remedy for me, and thanks to the earth that provided great herb on earth for us to eat and use.